Anniversary of the decease of Milan Rastislav Štefánik is an official remembrance day in Slovakia observed on May 4. It honors one of the leading members of the Czechoslovak National Council. Milan Rastislav Štefánik was born in the Kingdom of Hungary on July 21, 1880. In 1904, he graduated from the Charles University in Prague and moved to Paris where he found a job at the Paris Observatory. 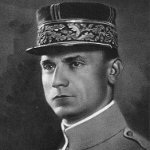 After the outbreak of the First World War, Štefánik enlisted in the french army because he believed that the defeat of the Austria-Hungary and the German Empire would give the Czechs and Slovaks an opportunity to gain independence. During the war, he served as an aviator. In 1915, Štefánik returned to Paris where he co-founded the Czechoslovak National Council with Tomáš Masaryk and Edvard Beneš. The Council was the government of Czechoslovak resistance abroad. In 1916, Štefánik began to organize Czechoslovak legions to fight against Austria-Hungary and Germany. Štefánik died in a plane crash on May 4, 1919, several months after Czechoslovakia declared its independence. The reason for the crash is still disputed. The anniversary of Štefánik's death was declared an official remembrance day in the Slovak Republic.